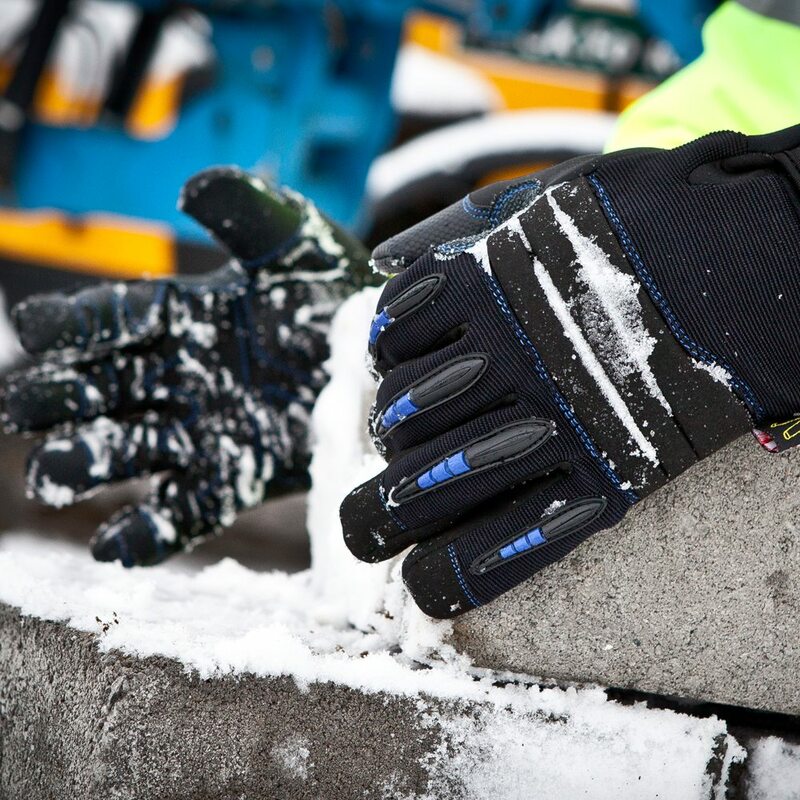 Breathable insulation for winter-climate riggers. 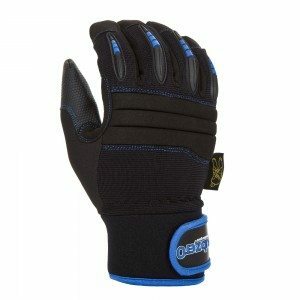 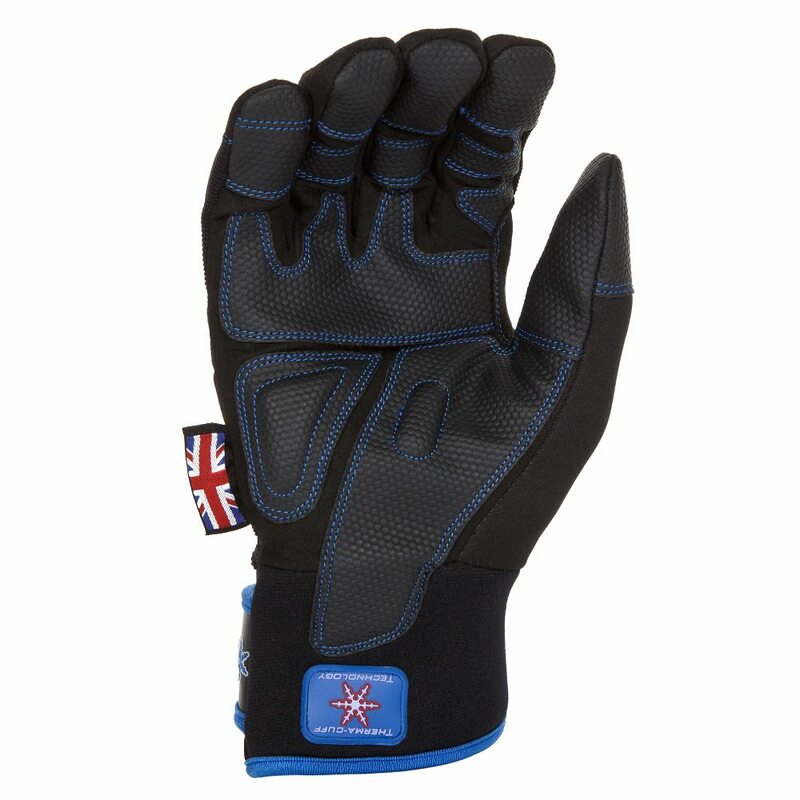 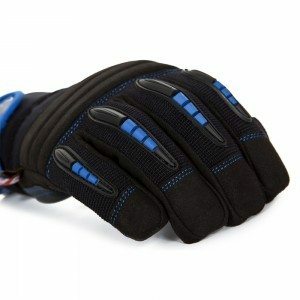 A 40gsm insulating fleece lining and a breathable, water-resistant membrane help warm your hands right to the fingertips in subzero, high-wind conditions. 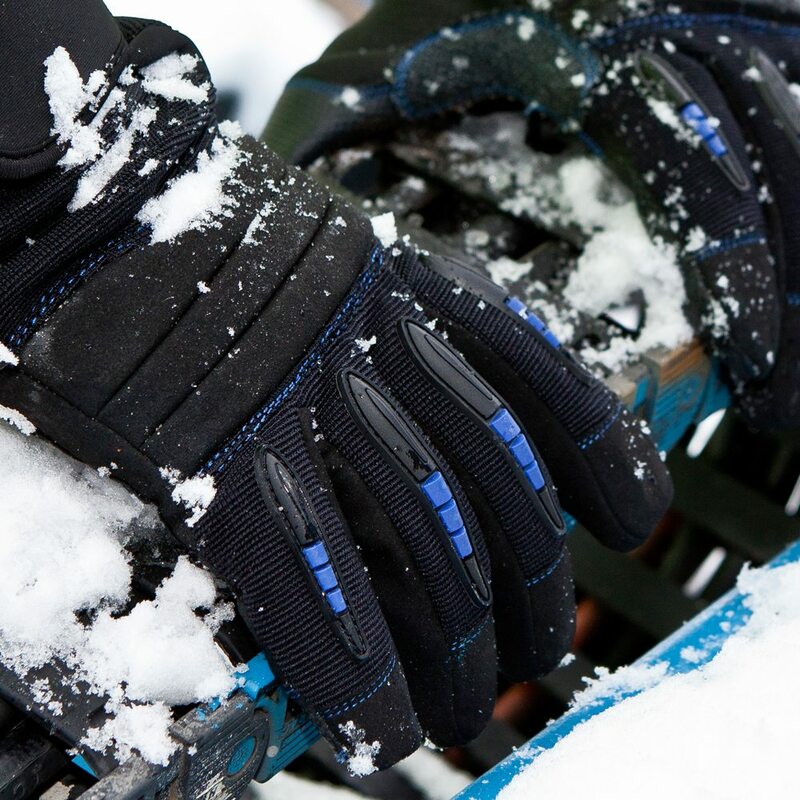 Lock out the elements with a 6cm (2”) adjustable cuff. 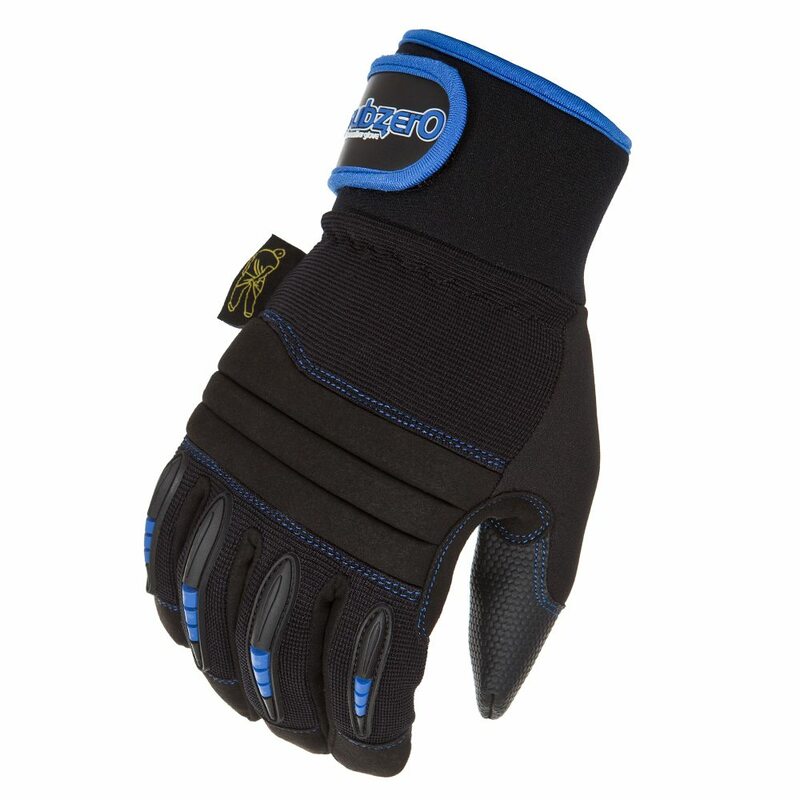 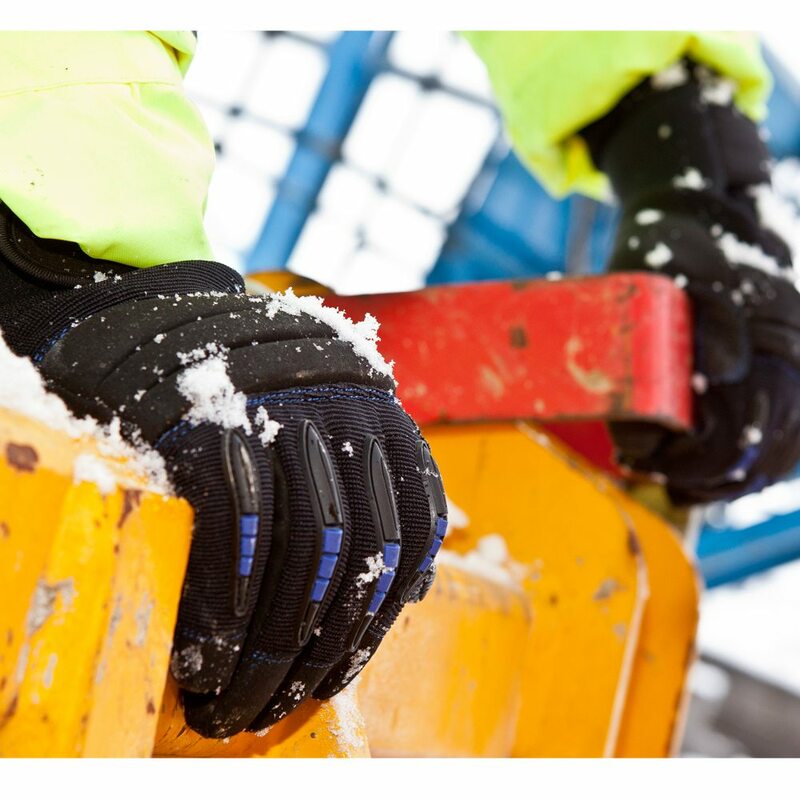 Heavy duty synthetic leather on the palm provides a durable outer structure with added ultra-grip plates to help anchor onto cold, wet materials. A high-density foam knuckle pad and motion-flexible finger bars help reinforce areas on the glove-back. 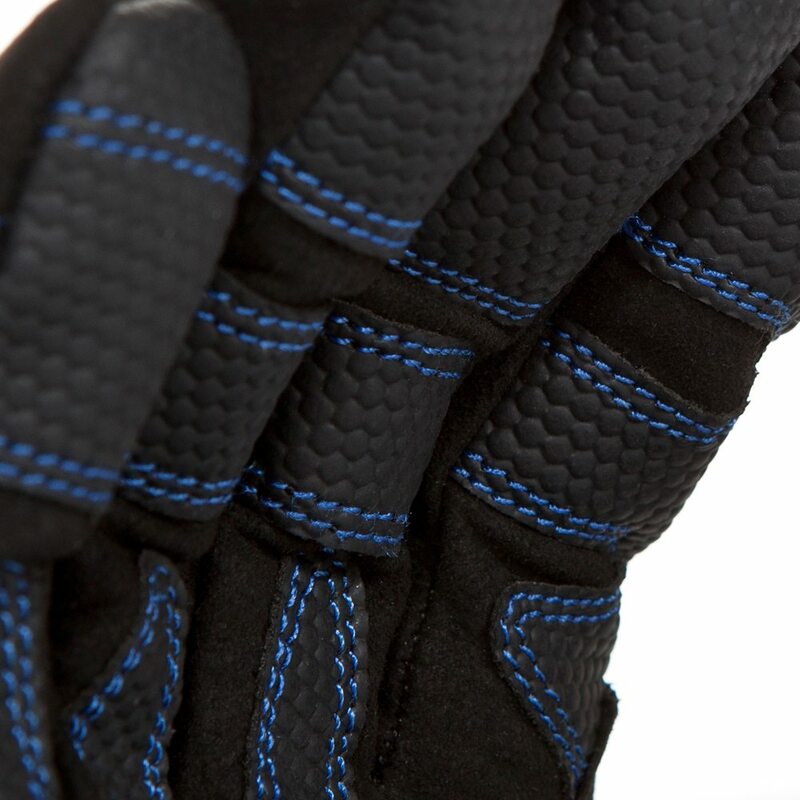 Extended 6cm (2”) adjustable cuff to lock out the elements.